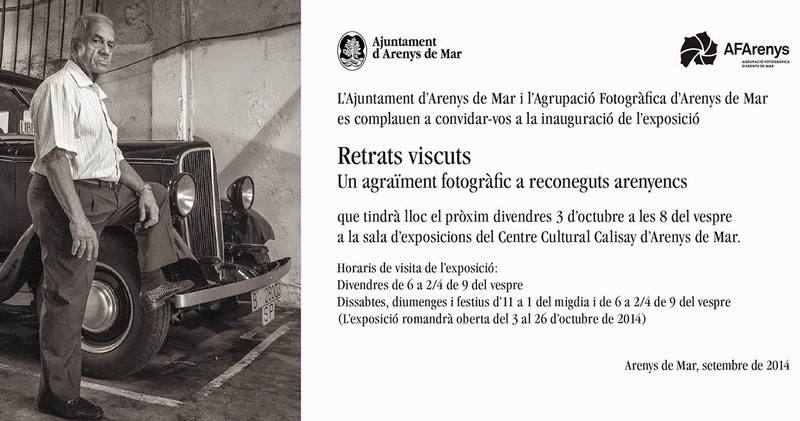 “Retrats Viscuts” are portraits of 33 persons that had become popular in the village due their profession or activism. 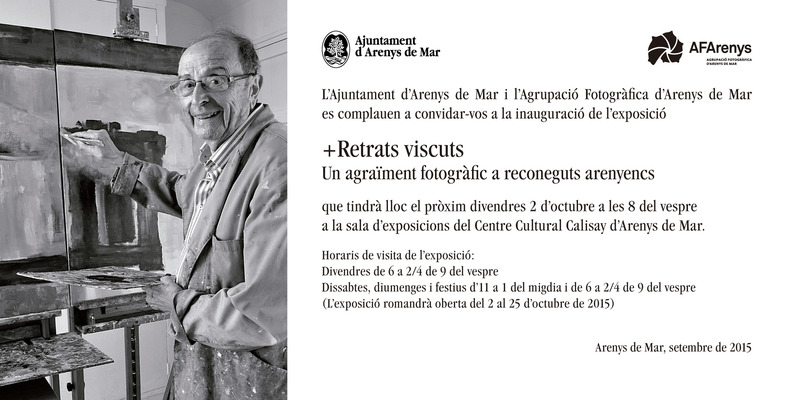 I have had the opportunity to photograph three well known person of Arenys the Mar for this exhibition. The resulting portraits has been published recently in this blog under the tag “Lived portraits“. The experience has been very rewarding because portraiture is not one of my habitual photography disciplines, and also because I have had the opportunity to share very close and special moments with the portrayed person.